In 1883 too, Dean and Son published a further edition of the first dog book to contain photographs of winning dogs, 'Dogs' edited by Henry Webb. 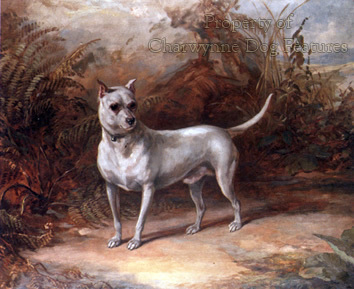 Webb records that in 1861, the dog show in Holborn attracted 240 dogs in 48 classes, but in 1871 the Crystal Palace show drew 834 entries to 110 classes. 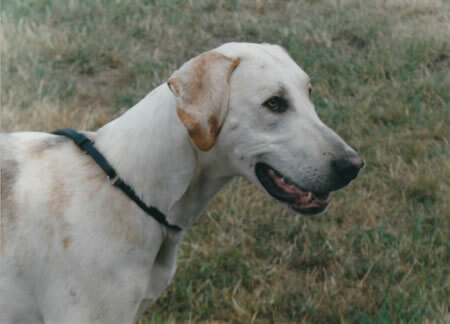 The biggest increases occurred in Pointers, Setters, Mastiffs and Fox Terriers. Terriers were classed as non-sporting dogs. Keepers' Night-dogs, the Bullmastiffs of today, and Harriers were both recognised and shown. Webb wrote of Skye Terrier classes for short and long-coated varieties and drop-eared and prick-eared varieties too. The breed was then required to be 'three times as long as he is high'. It is not difficult to see where the exaggerations started, although today the breed is expected to be only twice as long as it is high. There could so easily have been a 'Norfolk/Norwich' Terrier situation in the breed over ear-carriage, but both sets are tolerated today. In the last 120 years many aspects of owning and breeding dogs have changed. Some sadly have not and there is often human frailty behind such failings. What is especially disappointing is the failure of the pedigree form itself not to move with the times, respond to increased knowledge and our ability to obtain and store information. If you look at a pedigree form of 2004, it could so easily be one from 1883: five generations of names of sires and dams, nothing else. Is this Kennel Club inertia, an unwillingness of breeders to expose their shortcomings, mere laziness or a fear of progress itself? There are needs not being met here, a significant omission of any indication of quality through grading and no genetic content. Both omissions do not advance the science of dog breeding or the stated desire to improve dogs. Is a healthier breed not worth pursuing? The time frame should frighten no one; the information should please anyone who cares about the welfare of dogs and the integrity of breeds; the intention should impress everyone who seeks to better the lives of domestic dogs. Livestock breeders sneer at dog breeders sometimes, calling them Luddites. Breeders themselves want to enjoy a degree of freedom in their work, but surely not the freedom to breed crippled dogs. 1883 was an interesting year in dogdom; 2015 could be too. There are any number of canine terms or descriptions which over the years have either fallen into disuse or lost their meaning. Words like messet, riggot, sapling and lymer; expressions like dog-breaking, in and in breeding, saw-horse stance, sand toe and east-west action, and distinct forms of a breed like a fox collie, a Wold greyhound, an Anglesea setter and a chinchilla hound have all lapsed. There is one old-fashioned word however which could with justification be revived, the word 'constitution'. As a boy I can remember being asked by a kindly relative if my puppy had a 'good constitution.' It meant robustness, natural resilience, disease-resistance or, in old dictionaries, the natural condition of the body. Sadly, today, far too many dogs are not robust, have little natural resilience or disease-resistance and their bodies are simply not in a 'natural condition'. I have grave concerns about the constitution of our mastiff breeds; they have lost virility. A century ago, writers prized constitution in their dogs. The Foxhound Magazine of 1909 referred to inbreeding as a threat to it: 'a great (perhaps the greatest) factor of success in the field, namely, constitution, is lost' .The writer had found from personal experience that 'loss of constitution entails many evil consequences', listing the inability of hounds to hunt when required, increase in mortality from disease, irregularity of conformation and lack of physical development. A century later, are we breeding dogs with an enhanced constitution, what with scientifically designed food, immense advances in veterinary science, thousands of books on rearing and caring and a century and a half of dog-shows exhibiting the 'best of the very best'? Dissenters might argue that modern dog food is weakening our dogs, over-immunisation is harming our dogs and modern lifestyles punishing our dogs! An elderly vet told me recently that it was his view that today's dogs were sicklier than at any time previously. Big dogs need a sound constitution so much more than lighter smaller breeds; height and bulk make greater demands on a dog's physique. A couple of decades ago when the management of a rare breeds farm was part of my responsibilities, we crossed a wild boar with a Tamworth sow to create what we called an 'iron-age pig' . The resultant piglets were astonishingly virile, amazingly robust, remarkably precocious and just glowing with health and vitality, noticeably more so than the pure Tamworths and Gloucester Old Spots. When our pure Bagot goats became unacceptably prone to bloat, we successfully out-crossed to a Swiss breed, reducing the incidence of bloat to practically zero and producing far more robust more active kids. After three generations of breeding back to pure Bagots, every trace of outside blood had disappeared and our stock once again won at the livestock shows. When I mention this to pedigree dog breeders they pretend not to hear! We can recreate our Mastiff using Great Dane, Tibetan Mastiff and Bullmastiff blood in days gone by but we cannot let the breed benefit from outside blood today! No Foxhound breeder would endlessly breed just from his own stock. In seeking, not just a stronger constitution, but enhanced performance, outcrosses would be introduced: to French hounds, Fell hounds, Harriers, American Foxhounds, Welsh Hounds, even Bloodhounds, as well as drafts from other unrelated packs. Breeding for function imposes such a method; but in the show dog world such thinking would instantly reveal the 'only over my dead body' school of opposition. 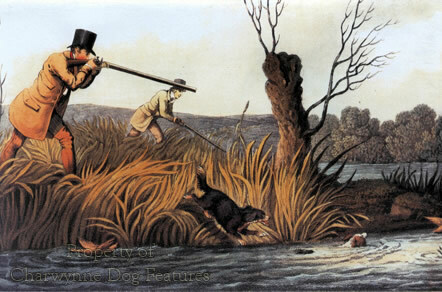 When a BBC programme on dogs mentions the dreaded word 'eugenics' the pedigree dog breeders reach for their shotguns. Perhaps they should reach for their books on genetics. In the wider livestock world, purity of blood is only valued when it's working. Our famous breeds of dog came to us from open-minded pioneer breeders using the best blood they could and to the best purpose. To permit your breed to become paralysed by its genes is not my idea of animal welfare, not sound breeding practice and certainly not the most convincing way to demonstrate affection for a breed. Surrendering to consensual thinking or committing your stock to 'fashion' can never improve it. Writers in the Foxhound Magazine of 1909 had no doubt about the dangers of only breeding a 'fashionable' hound: 'We maintain the real cause is the result of loss of constitution from inbreeding, in order to obtain the requirements of the one exclusive Show standard type and the artificial characteristics necessary to the same object. ' and ...the answer is that the constitution of the fashionable hound, deteriorated by the process of inbreeding...is consequently unable to take his place in the field so frequently... ' Another contributor wrote that 'In course of time the crosses of one line of blood become so numerous that, whilst type is produced (and even that will in time fail to ensue...)...constitution is lost. ' These writers bred superb hounds, for function, and their words should not be dismissed lightly. 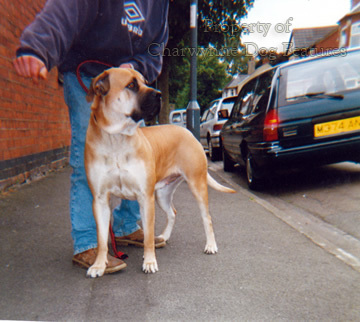 Heavy hounds such as the mastiff group need brave and loyal breeders not mere perpetuators.